The Houston Rockets and Golden State Warriors will don specially designed uniforms to celebrate the Chinese New Year, the teams announced Monday. The Rockets will wear their jerseys for three games, the first coming on Feb. 21 against the Toronto Raptors. 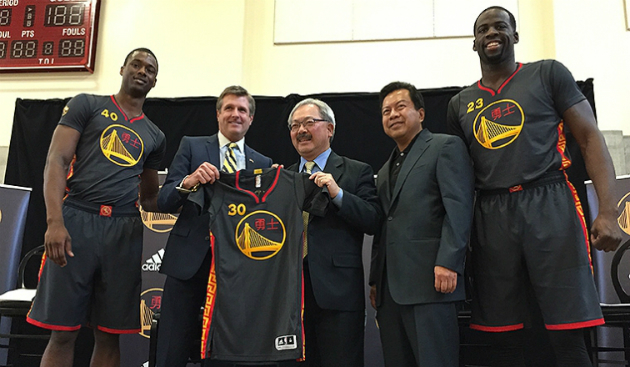 The Warriors will wear their jerseys four times, debuting them on Feb. 20 against the San Antonio Spurs. The Chinese New Year begins Feb. 19. 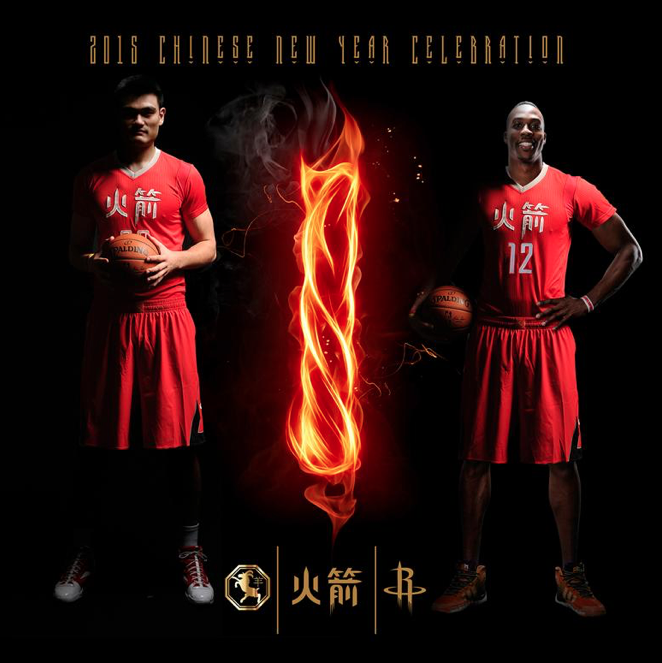 "The Lunar New Year uniforms represent a great opportunity to honor our incredibly loyal and passionate fans throughout China," said Houston Rockets Owner Leslie Alexander. "We are thrilled and humbled to establish the Lunar New Year uniforms as a way to honor the culture, heritage and historical and future connection we’ll always enjoy with our Chinese fans." "It brings great joy to me to see the Houston Rockets honor one of my country’s most important traditions," commented Rockets legend Yao Ming, "Mr. Alexander and the Rockets have long embraced our culture and customs and made basketball fans in China a part of the Rockets community." From Feb. 19 to March 4, the NBA will "pay tribute to its largest international fan base" by celebrating the Lunar New Year.